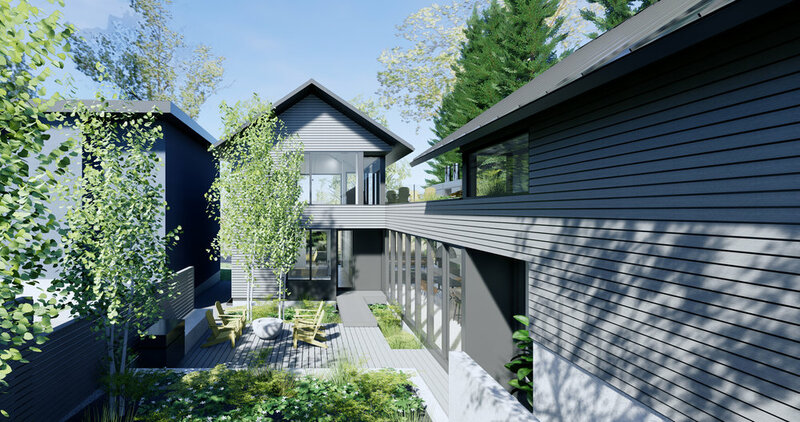 At Hindle Architects, we avoid approaching assignments with preconceived architectural styles or strategies. Through a collaborative design process, our team members explore and analyze a diverse range of possibilities in an effort to determine the most effective solution. This process is repeated at each and every project stage. We encourage open dialogue between our client and consultant groups in order to outline the goals, aspirations, considerations and concerns that are unique to each project. We have these conversations early, and we repeat them often throughout a project’s evolution. Hindle Architects’ design process incorporates customized Virtual Reality (VR) technology. This inclusive process enables clients, consultants and community members to experience proposed designs within a fully immersive environment. Unlike typical VR applications, our bespoke technology supports the live editing of 3D models, with materials and textures being rendered in real-time. Our highly skilled team members use this industry-leading design tool in the development and communication of all of our studio’s work. Click this link on your mobile device to experience a panoramic view of a project in development.